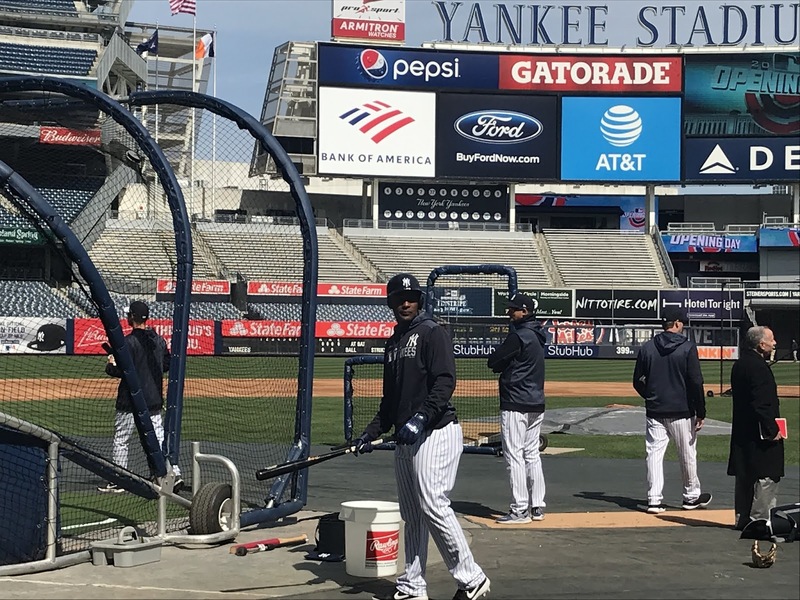 Andujar suffered the injury while sliding back into third base during Sunday's game against Baltimore and played through it. On Monday, he needed treatment and then took an MRI that showed what Yankees Manager Aaron Boone described as a "small" tear. The plan is to treat the injury conservatively for a few weeks and then see if it is treated by rehab before considering surgery, according to Boone, who added, "At that point [we'll] make a decision which, surgery could be in play, which would obviously compromise his season. There is some optimism that he would respond to the rehab protocol...His physical test with the doctor is actually really good, so there is some optimism that if treated conservatively, he can respond." The idea that Andujar's season could be done after three games is hard to comprehend considering a focus of the offseason was getting reinforcements for shortstop Didi Gregorius, who had Tommy John surgery at the start of the offseason. The Yankees' infield on Monday night is what it probably will be for the foreseeable future, with DJ LeMahieu at third base, Troy Tulowitzki at shortstop, Gleyber Torres at second base, and Greg Bird at first base. Luke Voit, who has primarily been used as a designated hitter this season, also could play some at first base. With Andujar hitting the IL, the Yankees recalled INF/OF Tyler Wade from Triple-A Scranton/Wilkes-Barre. Wade came up in 2017 and played in 30 games and hit .155, or 9-58, with no homers and 2 RBI, with 4 doubles, 5 walks, 7 runs scored, and 19 strikeouts. Last season, the Yankees were prepared to have Wade split time at first and second bases with Neil Walker, but that plan only lasted a month until Torres settled into second base. Wade played in 36 games and hit .167 (11-70), with a home run, 5 RBI, 8 runs, and 4 doubles. Wade turned it on in spring training this season, as he hit .308 (16-52), with a .345 on-base percentage and .500 slugging percentage as well He had a a home run and 3 RBI, with 13 runs scored, 4 stolen bases, and 3 walks, with 14 strikeouts in 20 games. When the Yankees chose to send him to Triple-A Scranton/Wilkes Barre instead of bringing him to The Bronx, he was understandably disappointed. It will be interesting to see what Wade does with this opportunity considering he can be a valuable utility man in the infield and outfield. The 24-year-old has the chance to become a player that Boone can plug into any position on a given day when he wants to give a regular such as Tulowitzki, who missed last season, a day off.